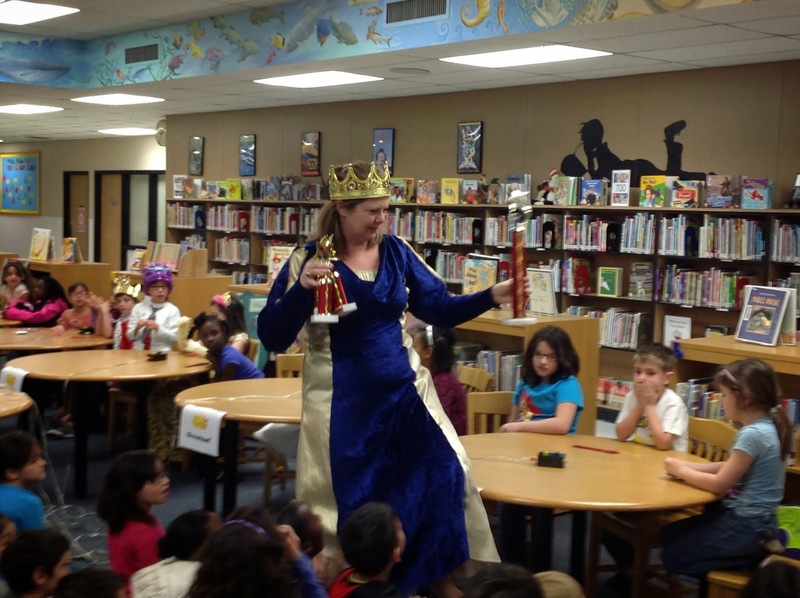 The Friday before spring break we held our 7th annual Fairy Tale Battle for 2nd graders. In January, the battle was introduced to 2nd graders and they were given a list of fairy tales and fractured fairy tales to read. 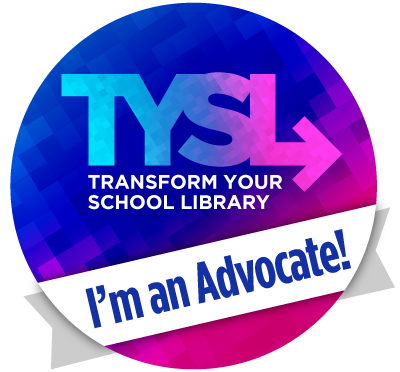 Students can check these books out from the school or public library, read books they already have at home and listen to the teacher read books aloud to the class. There are 12 classic fairy tales and 7 fractured tales that are included in the battle. Students have all of January and February to read as many of the books as they can or want to. 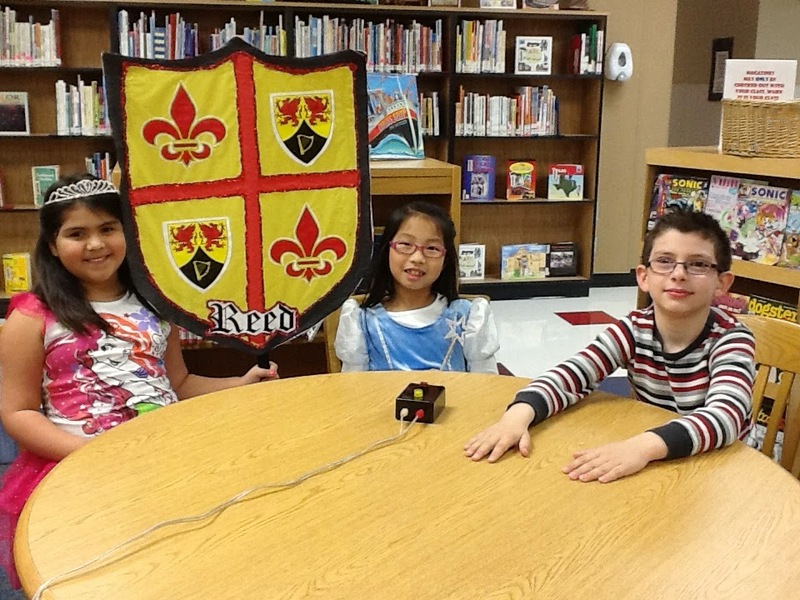 On the Friday before the actual battle, a quiz is given to the whole 2nd grade and the top 3 students from each class become the team for their class. The day before the battle, we have a practice session with the teams and the buzzer machine. We go through the rules of the battle, a practice round of questions and the students can ask questions. On the day of the battle, the students on the team are allowed to bring fairy tale clothes they can change into before the battle (usually pieces from Halloween costumes). The classes march into the library to some instrumental Disney music. Each class has a shield they carry to lead their lines. The teams take their places at the tables in the front and the rest of the class sits on the floor. To start the battle, I read the rules and introduce the teams and then it is GAME ON! Yes, I dress up too! Each team is given a question directed to them. They have 10 seconds to discuss and for the captain to give an answer (points are added for a correct answer, but not deducted for wrong answer or time violation). If they give a wrong answer or run out of time, we ring a bell and any other team can buzz in. The buzz in team receives points for a correct answer but loses points for a wrong one. After each team has received 2 questions, it is on to the Speed Round. These are questions about the fractured tales. Any team can buzz in at any time during the question to answer. Points are given or taken away and once buzzed, I do not finish reading the rest of the question. There are 3 rounds before a winner is declared and very often it comes down to the fastest hands in the 3 speed round. Ribbons are given to all the participants and trophies for the winning team. The students each get a small trophy and a large trophy is passed on each year. This is a fun tradition at our school and even though every year we do have tears, I think it is a valuable lesson for kids to see competition and know that some will win and some will lose. 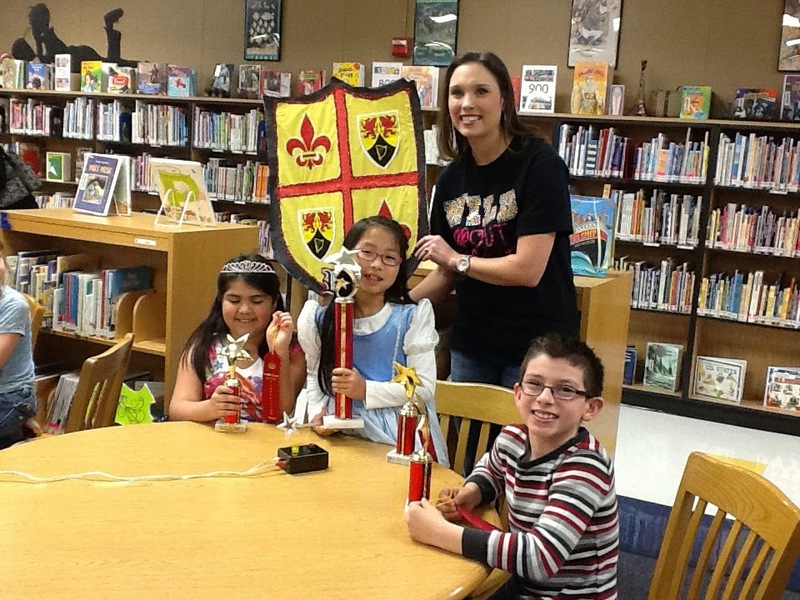 We continue this in 3rd grade and 4th grade with Battle of the Books. What a great idea! I already do Battle of the Books with 3-8. What a great way to get them hooked to participate doing this when they go on to third. I talked with with second grade teachers and they definitely want to do this next year. Would you be willing to share your questions you used? Thanks for the great idea!